The easy answer is yes, overexposure to noise that causes stress will indeed affect your health to some degree. 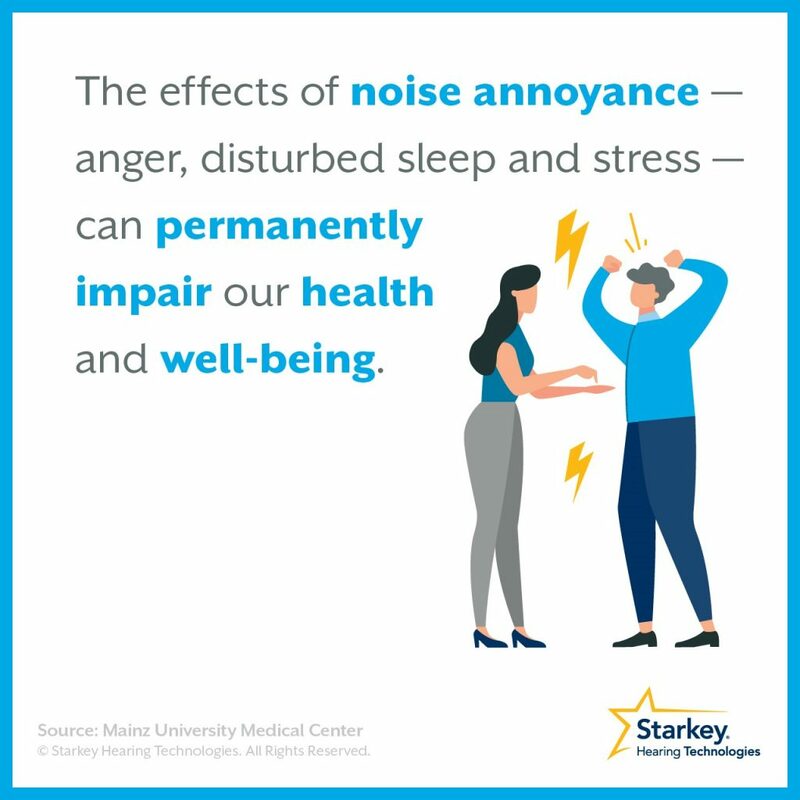 In a recent blog article Starkey.com the topic of “noise annoyance” was discussed and we felt the topic deserved more attention because of the significant long term negative effects cited in various studies. Noise annoyance has become recognized as an important environmental stressor. “a feeling of displeasure associated with any agent or condition [related to sound] that is believed to affect adversely an individual or a group” – Wikipedia. While the definition above sounds rather general, it’s easy to come up with a list of specific day-to-day examples. For example, many of us begin our day with a commute to work where we seek to drown out annoying road & traffic noise with even louder music. If you work in a noisy environment, you will likely protect your ears (generally 85 dB and above) with the use of government mandated hearing protection to minimize the effect of the sound levels. However, any number of situations may create intermittent and unexpected fluctuations in noise levels that don’t require hearing protection. You may be working in an office located in an airport, next to a rail line, or on a busy street where the levels change frequently and are loud enough to take your attention away from what you are doing. Closer to home situations such as building renovations and street repairs can add a barrage of intermittent loud noises. It all adds up over the course of a day. Earplugs for sleeping are an easy solution to a partner’s snoring. There are numerous studies about the effects of noise annoyance that relate to the rise of stress hormones and their effects on physical health. One study published in the International Journal of Cardiology suggest noise annoyance may represent an important cardiovascular risk factor. The study concluded noise-annoyance as being “dose-dependently” associated with the common arrhythmia atrial fibrillation. 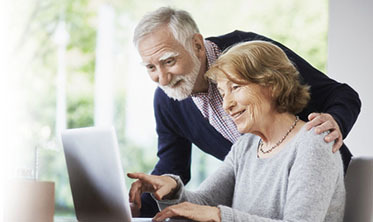 Atrial fibrillation is an irregular and often rapid heart rate that can increase your risk of stroke, heart failure and other heart-related complications. Mental health issues have also recently been linked to noise annoyance. Studies have also shown that noise annoyance can cause anxiety, stress, anger, poor sleep quality, and day time sleepiness. All of which reinforce the negative physical affects as well. What can you do to mitigate noise annoyance? The obvious way to lower the stress associated with loud noises is to avoid those situations in the first place. That can be as simple as turning down the volume on stereo or digital audio player and using open ear headphones as opposed to closed off ear buds. The next option is hearing protection in the form of earplugs when leisure activities get loud. When it comes the evening, if sleeping is a problem due to environmental noise, earplugs for sleeping will allow you to sleep much more soundly. Sleep disturbances due to noise should not be underestimated as there are numerous scientific studies on the detrimental effect of noise on the quality of sleep. We offer custom molded earplugs for all uses including sleeping earplugs. To learn more call us at (204) 788-1083 or contact us online. Next PostFall Detection & Alerts In a Hearing Aid?